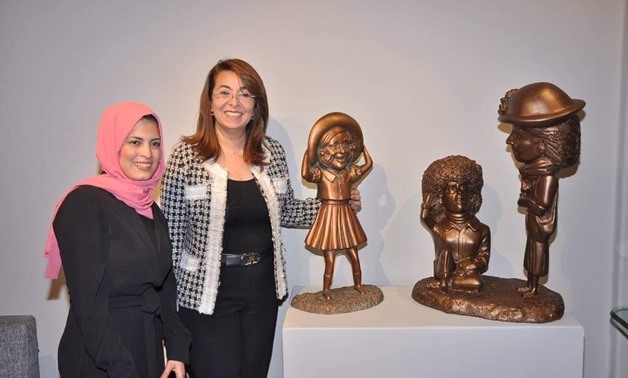 Inspired by Egypt’s pioneering actors, actresses, and singers of the 20th century, sculptor Mai Abdullah held her recent solo exhibition under the title “Teatro” at Gallery Misr in Cairo. 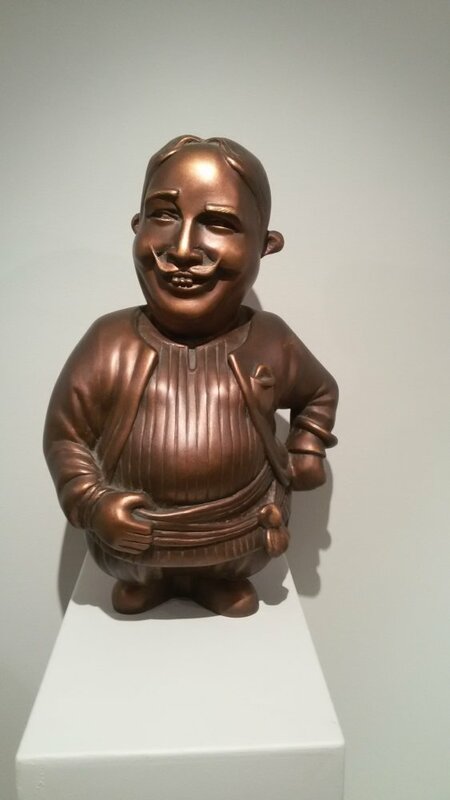 In the exhibition, which opened on 29 December 2018 and runs till 13 January, the young Egyptian sculptor displays more than 20 medium-sized sculptures. 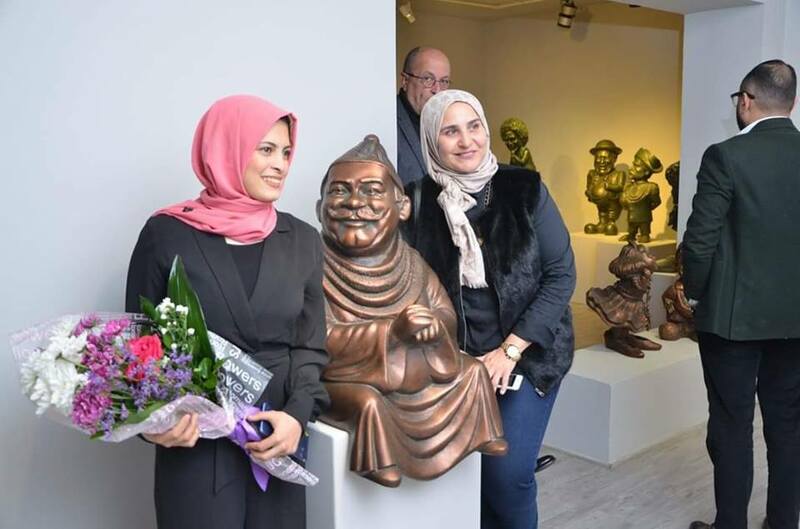 Egypt’s Minister of Social Solidarity, Ghada Wali, opened the exhibition; the opening was attended by a number of public figures, artists, critics and journalists. 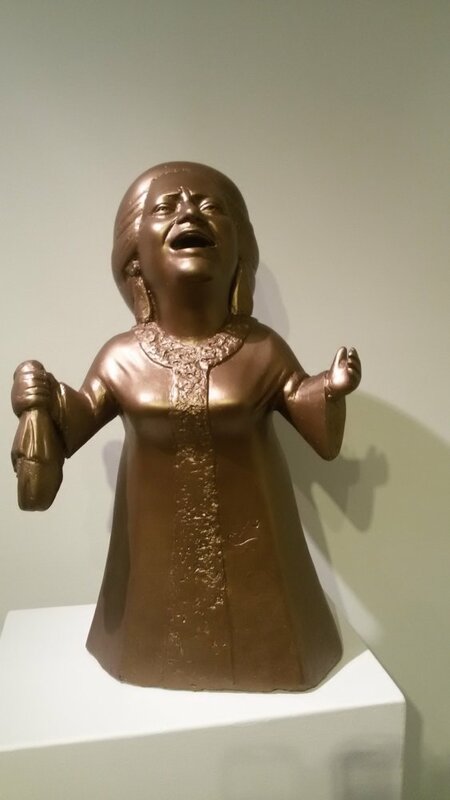 Using brass to create her sculptures, Abdullah chose Egyptian celebrities in the field of theatre, cinema, and singing as symbols of what is frequently depicted by critics as the golden age of these arts. 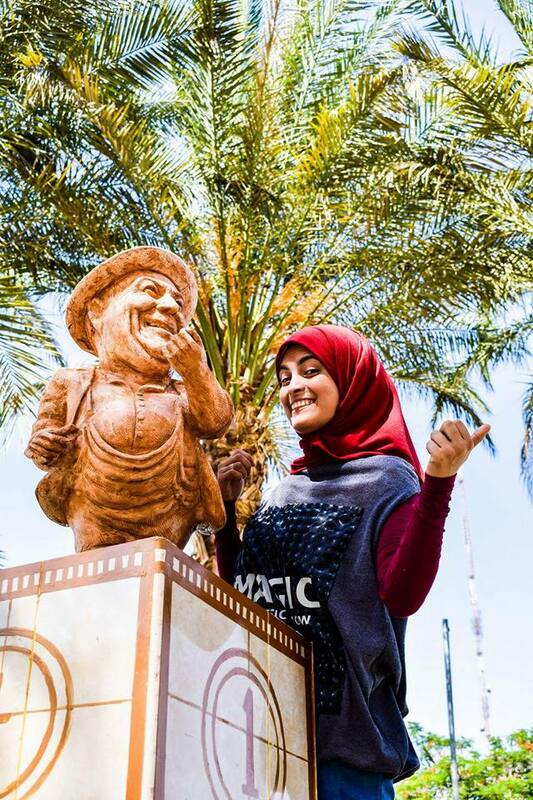 But a few contemporary characters also found their way among her characters; luminary actor Yehia al-Fakharani, and the legendary Nubian singer Muhammad Mounir. 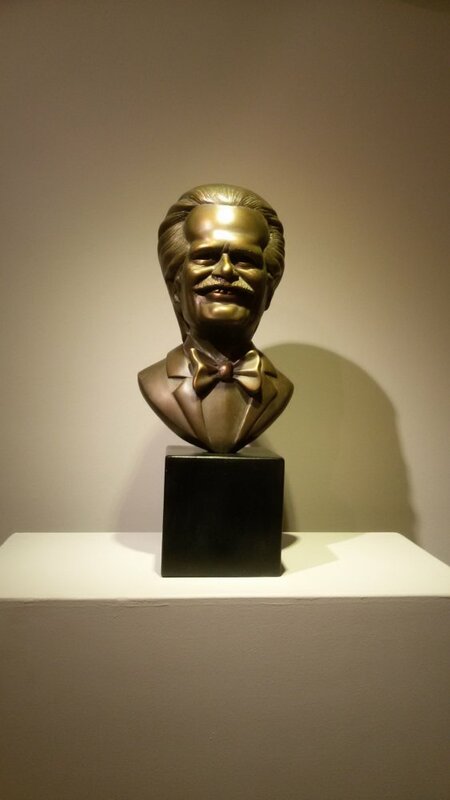 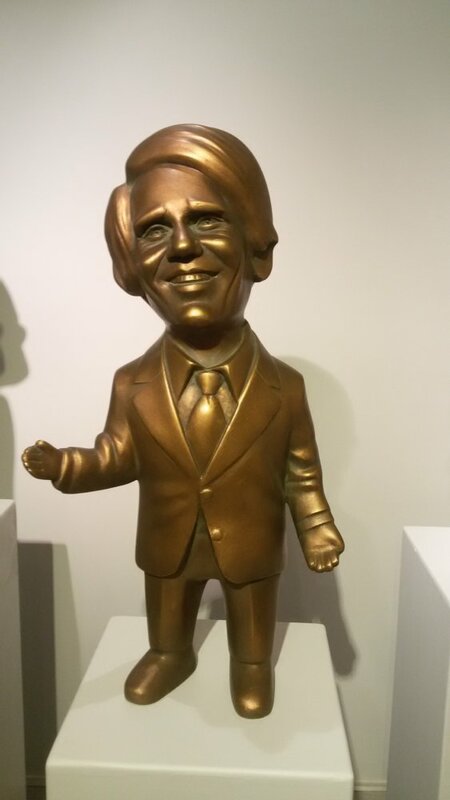 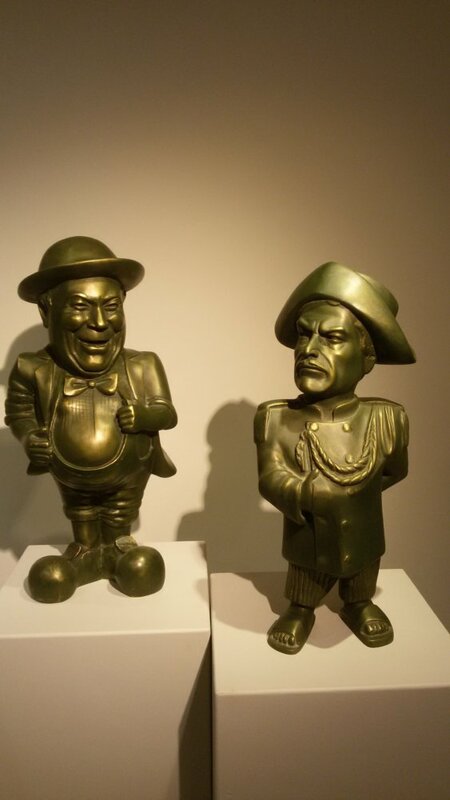 Abdullah’s celebrities sculpted out of brass include Egyptian actor Omar Sharif (1932 – 2015) who rose to be an international star; comedian Abdel-Fattah al-Qussari (1905 – 1964); Egypt’s “Cinderella” Suad Hosny (1942 – 2001); heartthrob singer Abdel-Halim Hafez (1929 – 1977), and the spectacular diva Umm Kulthoum (1898 – 1975). 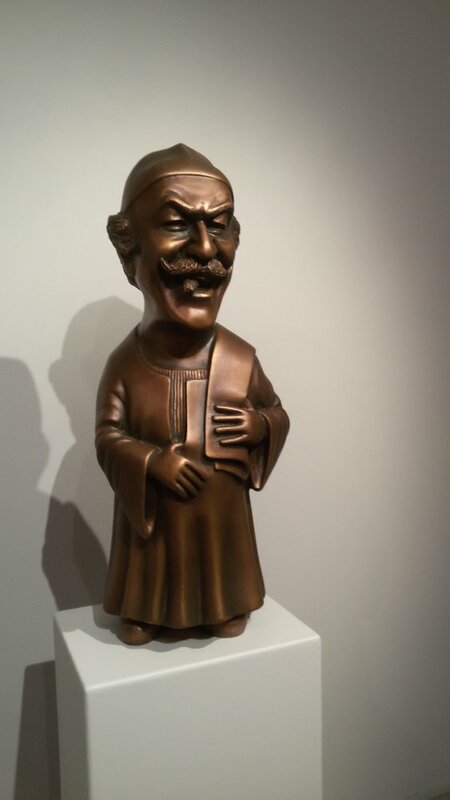 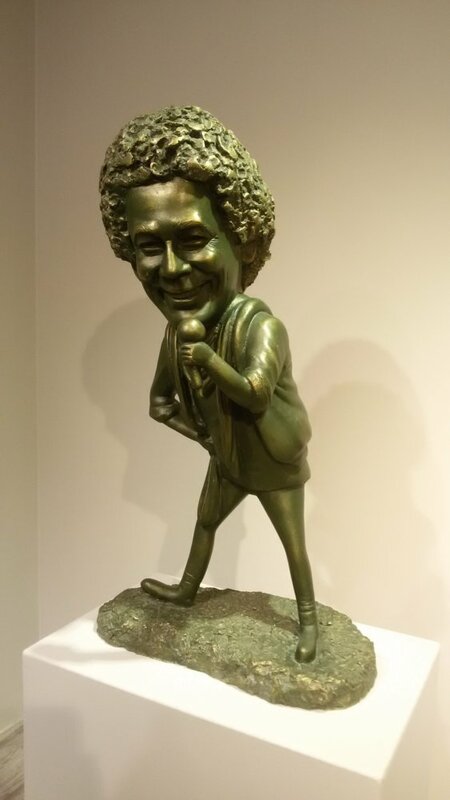 Abdullah’s sculptures also depicted the characters her stars were famous for, and who will forever live in Egyptian hearts: the blind superman Sheikh Hosny played by actor Mahmoud Abdel-Aziz (1946 – 2016); the comically-vicious mother-in-law for which Marie Mounib (1905 – 1969) was famous; the middle-aged Arabic teacher brilliantly played by Naguib al-Rihani (1889-1949) in the 1949 film Ghazal al-Banat (Flirting girls), who hopelessly falls in love with his beautiful, vivacious student; and many others. 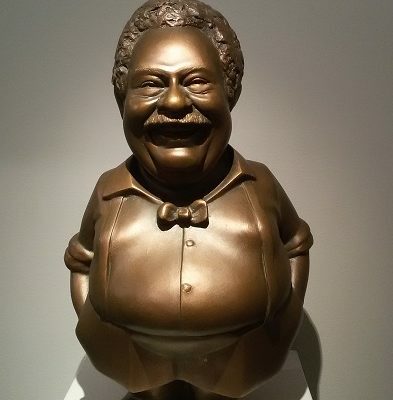 Her sculptures brought to life the characters, their moods, whims, and peculiarities. 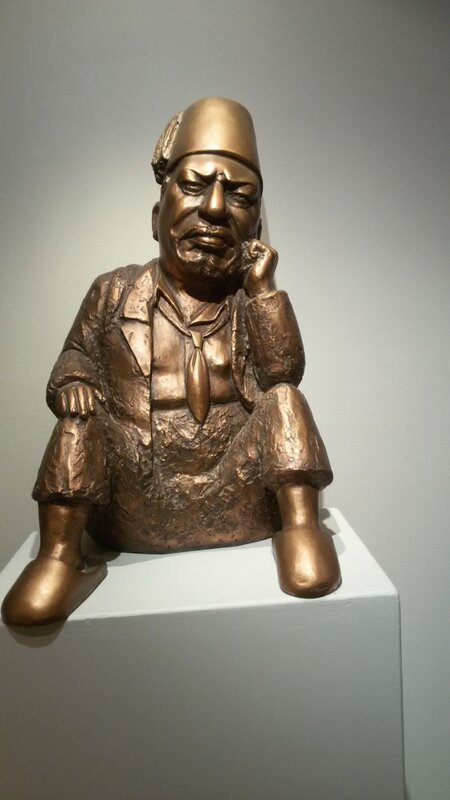 Mai Abdullah is a sculptor who graduated from the Faculty of Fine Arts at Minya University. 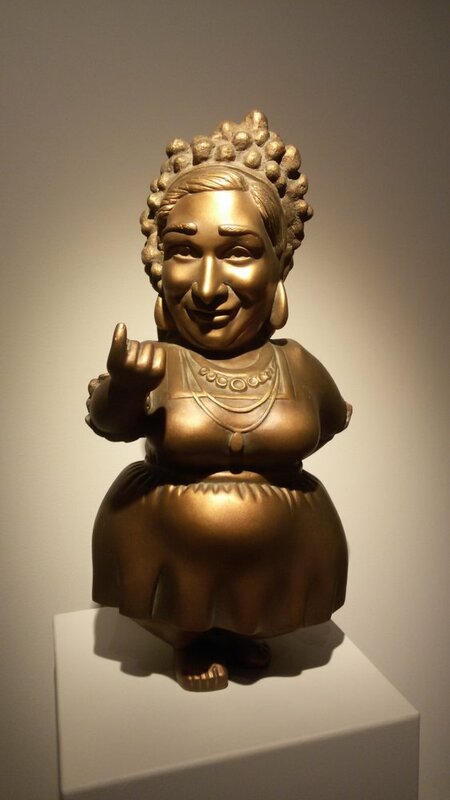 Her graduation project, titled “Teatro, the same title as that of her recent exhibition, earned her the nickname “Minya’s sculptor”. 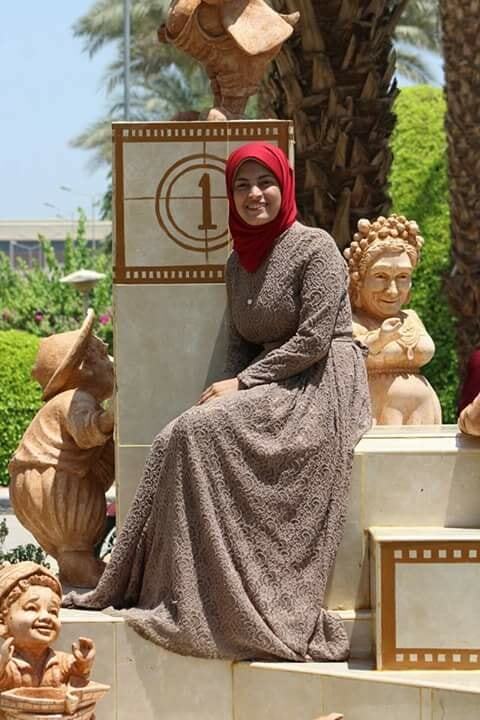 She was among the participants in the 2017 and 2018 World Youth Forums in Sharm al-Sheikh, Egypt.